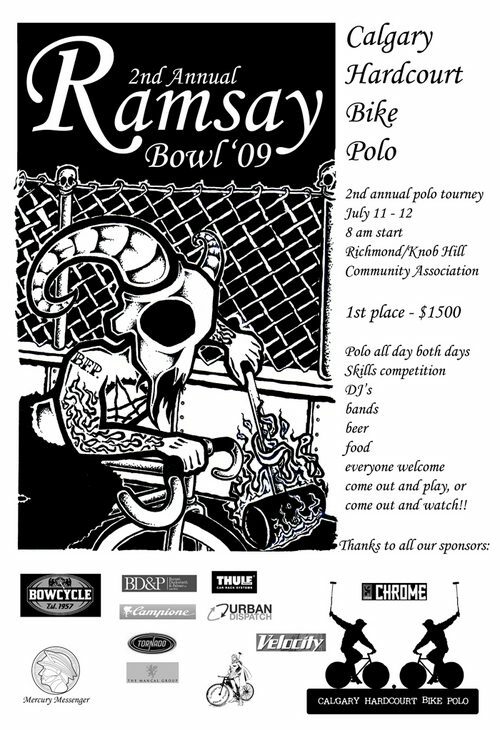 Calgary Bike Polo in Alberta, Canada is throwing their second-annual Polo tournament and is offering a $1,500 first place prize! It begins July 10th and ends July 12th with Gold Sprints once it gets dark out. Check out Calgarybma.com for more info!